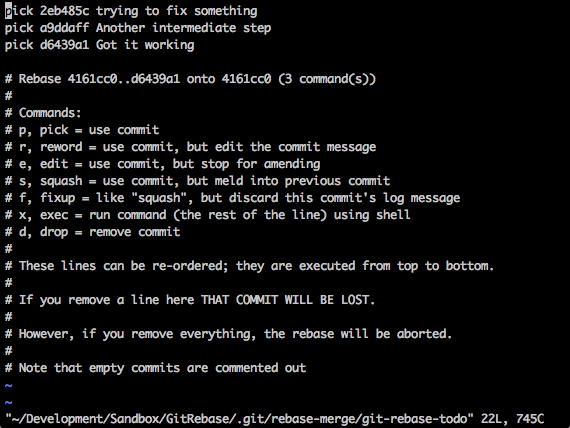 Git’s interactive rebase is extremely useful for keeping a somewhat clear commit history. 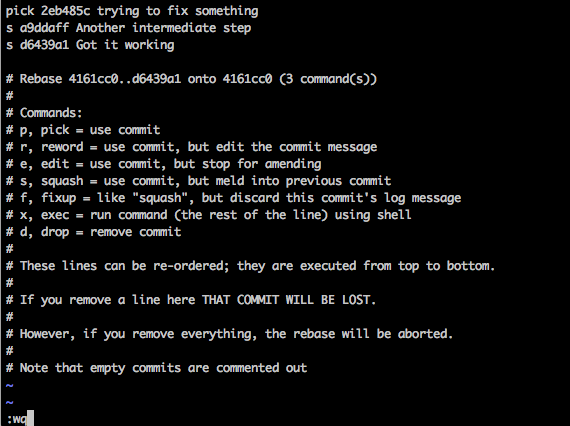 Here’s a very brief guide on how to squash multiple commits into a single one. 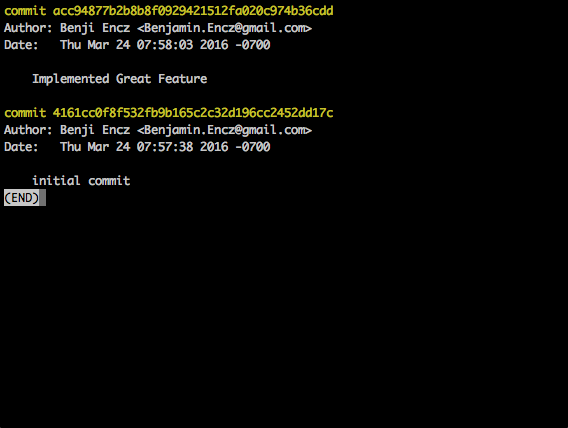 Git rebase allows you to rewrite the history of a git repository. Yes, you are right, this can be incredibly dangerous, therefore don’t use this technique on branches that are shared with other developers. To me rebase is most useful for preparing a branch that is about to be merged into the main branch of a project. We have a bunch of intermediate commits for stages in which our code was not working as expected ending with a commit that indicates that our feature/bug fix is complete. Having all of these commits in the history of a project would mean that the commit log would quickly become very difficult to read. 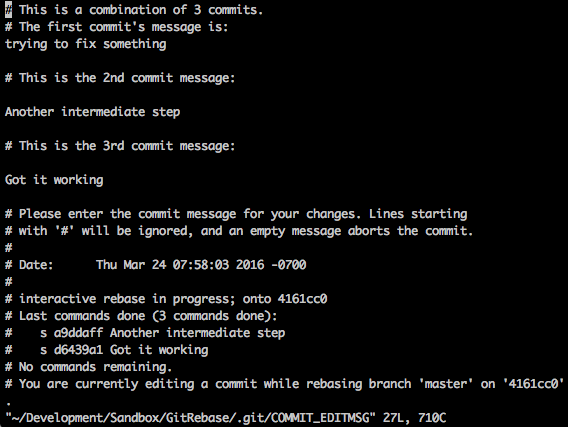 Git rebase allows us to turn these 3 intermediate commits into a single one. There are different ways to choose the range of commits you want to rebase. I mostly end up using HEAD~N to rewrite the latest N commits. You can now see the 3 commits you are about to rewrite. There are many different commands available, we are only going to use squash for now. Then close the text editor. 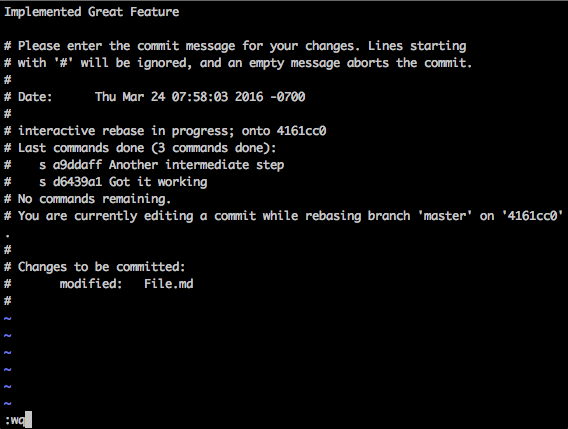 Next, git will bring up a screen that will allow you to choose some details for each rebasing step. 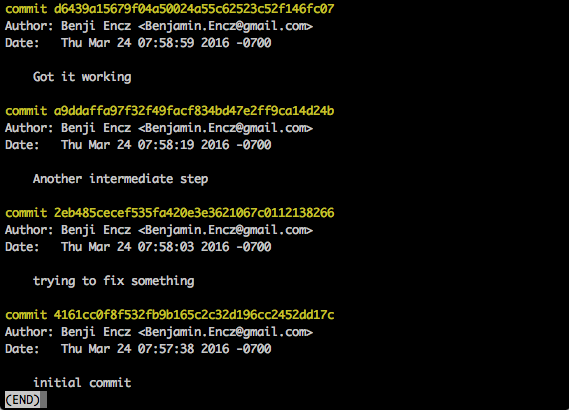 In our example we only have a single step - the one in which we merge 3 commits into one. A clean commit history that is ready to merge!